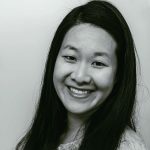 Published Feb 8, 2017 By Julia 2 CommentsThis post may contain affiliate links. 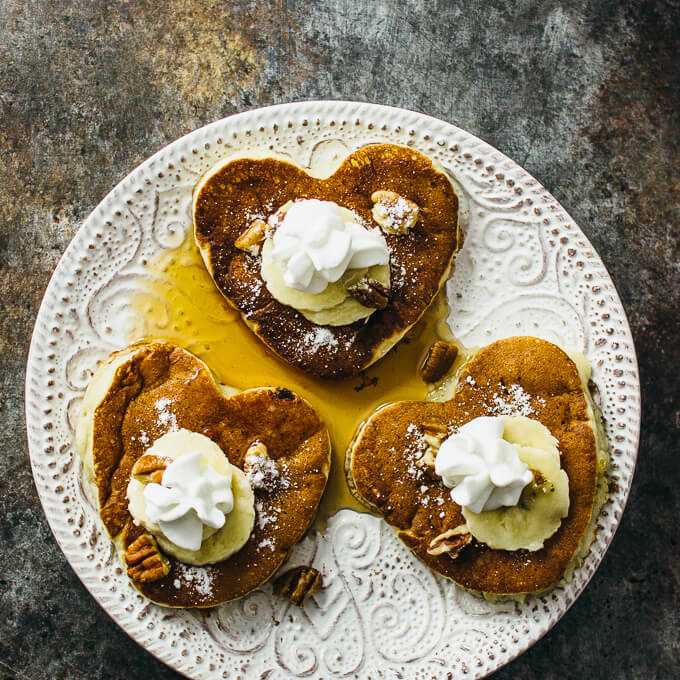 These heart-shaped banana pancakes are made using ripe bananas and topped with chopped pecans, maple syrup, and whipped cream. 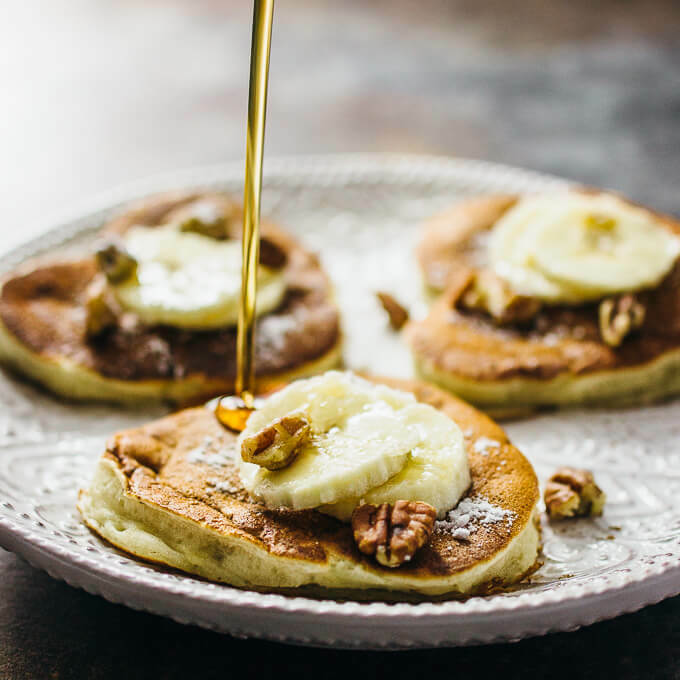 Skip the premade pancake mixes. Homemade pancakes are the best, and it’s really simple to make fluffy pancakes from scratch. In fact, I’ll bet that you already have most if not all of the necessary ingredients. 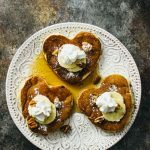 Moreover, these banana pancakes have irresistibly cute heart shapes so they’re ideal for Valentine’s Day next week if you’re looking for a fun and delicious breakfast idea. 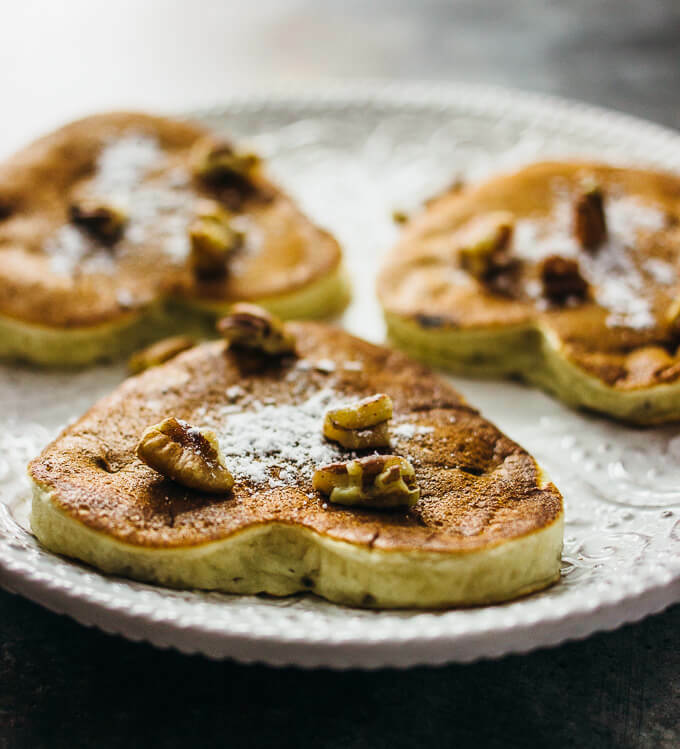 To make heart-shaped pancakes, you’ll need a silicone heart mold. I bought this mold on Amazon, which worked really well for these banana pancakes. It comes in a pack of 4 molds, so you can have 4 pancakes cooking at the same time. 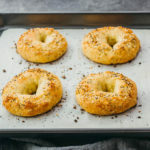 These molds are heat resistant so you can use them on a heated pan, and they can be safely picked up using the handles. The molds are really small — about 3 inches across — so they make cute bite-sized pancakes. The batter quantity per pancake in the recipe below is sized according to these molds, so if you use something else, you should adjust accordingly. I recommend using ripe bananas for this recipe; they will be easier to mash. To mash bananas, you can use a fork to press against the banana in a bowl, or you can place the banana in a ziploc bag and use your hands to mash. 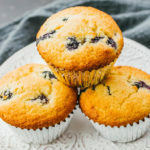 It doesn’t need to be perfectly mashed, and it’s completely fine if the batter ends up being a little lumpy. Combine and mix dry ingredients together in a bowl: flour, white sugar, baking powder, and salt. Repeat for wet ingredients in another bowl: whole milk, egg, canola oil, vanilla extract, and mashed bananas. Pour the wet mixture into the dry mixture, stirring it in. Stop stirring as soon as it is just blended; it will be a little lumpy. Heat a nonstick pan over medium-low for a few minutes. Add silicon heart molds to the pan. Pour about 2 tablespoons into each mold. Cook until the bottom of the pancake is golden brown, about 2 minutes, and then remove the mold and flip the pancake, cooking another minute until done. Repeat with more pancakes until the batter is depleted. 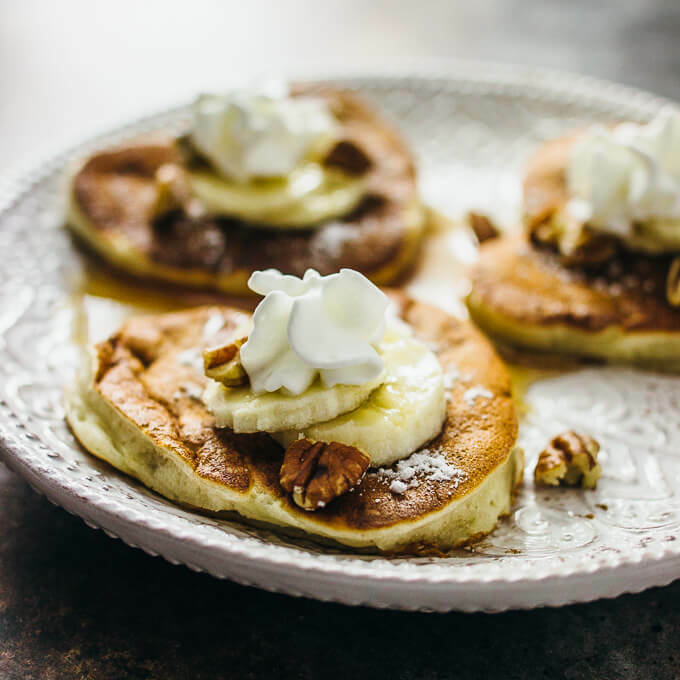 Serve the pancakes with toppings of your choice, such as sliced bananas, powdered sugar, chopped pecans, maple syrup, and whipped cream. 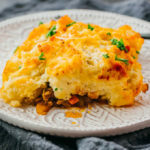 This is so delicious! Thanks for sharing. 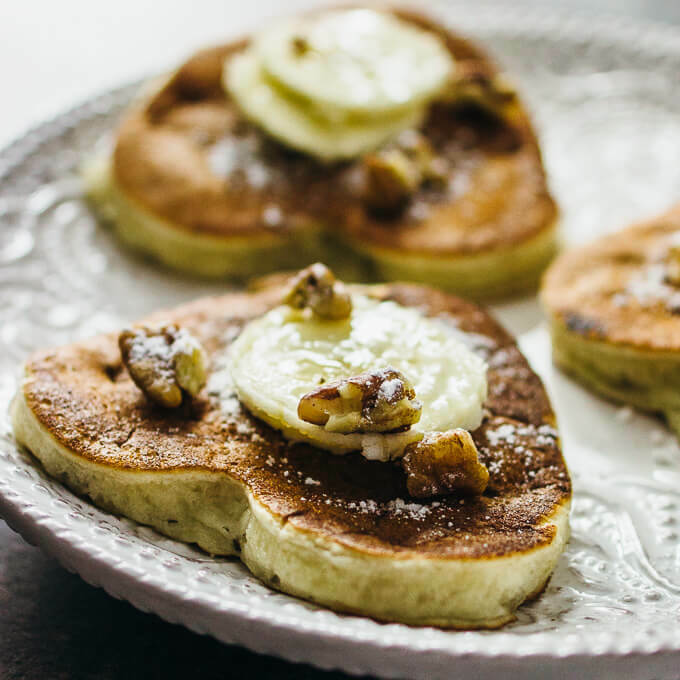 These look so lovely – a perfect Valentine’s Day treat!